Most people in Year 13 at Herschel go through the UCAS application process to get into university. However, there are other options which may very well be right for some of you. 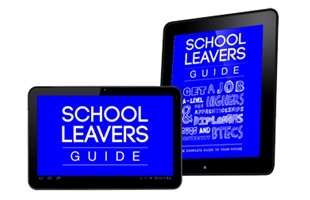 See the downloads at the foot of this page for Mr Bourne's 'Next Steps' Powerpoint presentation where he explains the different routes and the UCAS process further, as well as the definitive guide to alternative pathways from 'Not Going to Uni'. For more information on student finance, universities and UCAS, click on the Universities tab to the left. Most people at Herschel would look at a full degree taking three years plus, although it also possible to do a Foundation Degree - these last two years and allow more of an option at the end of those two years about what you do next. You may decide to take a gap year before going to university - click on the Gap Years tab to the left for more information. You may wish to investigate doing an apprenticeship when you leave Herschel - an increasingly popular (and also competitive) option in the light of the increased burden of student tuition fees at university. Click on the Apprenticeships tab on the left for more information and for the latest apprenticeship opportunities, or check out Ms Cole's presentation on university alternatives at the foot of this page. You may wish to leave education entirely at this point and try to get a job. Click on the Employment tab on the left hand menu for some help and advice on doing this, eg how to apply for jobs and how to succeed at interviews, together with an excellent CV builder tool. See the donwloads list at the foot of this page for Ms Cole's Powerpoint on alternatives to higher education from June 2012. Latest issue available now! Click on the image below to read the best magazine available geared exclusively towards sixth form careers and post-18 options. There are a range of useful websites relevant to the post-18 phase below. You can also find our school careers advisor Ms Cole's take on the 'best of the best' in the PDF downloadable from the bottom of this page.